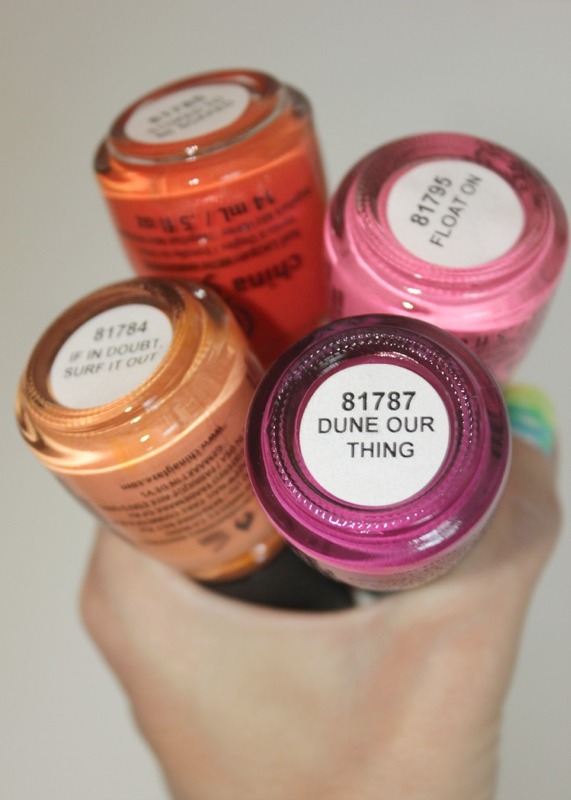 let's discuss the new China Glaze collection for summer. gorgeous, right?! the new Off Shore collection for summer by China Glaze has the best colors that are so on point for summer they'll draw blood. 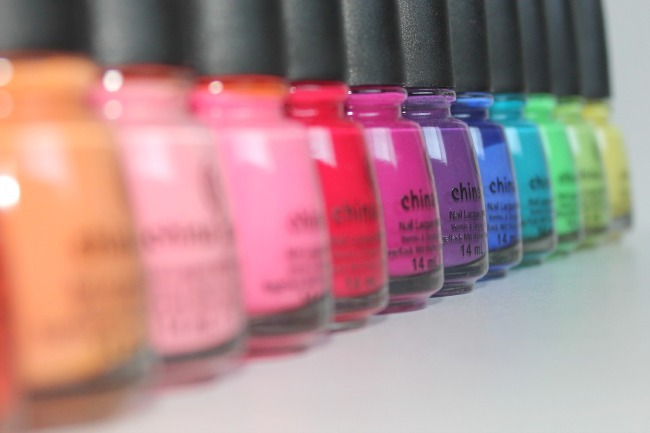 when it comes to nail polish collections the summer collections are always my favorites of the group. filled with bright, pops of color you can mix, match and go solo with any of the collection. the Off Shore collection is no exception. with bright colors that will coordinate perfectly with any summer wardrobe you will be hard pressed to find a color you don't like. many of the shades have a pastel tint to them that makes them so light that once applied they appear almost neon. 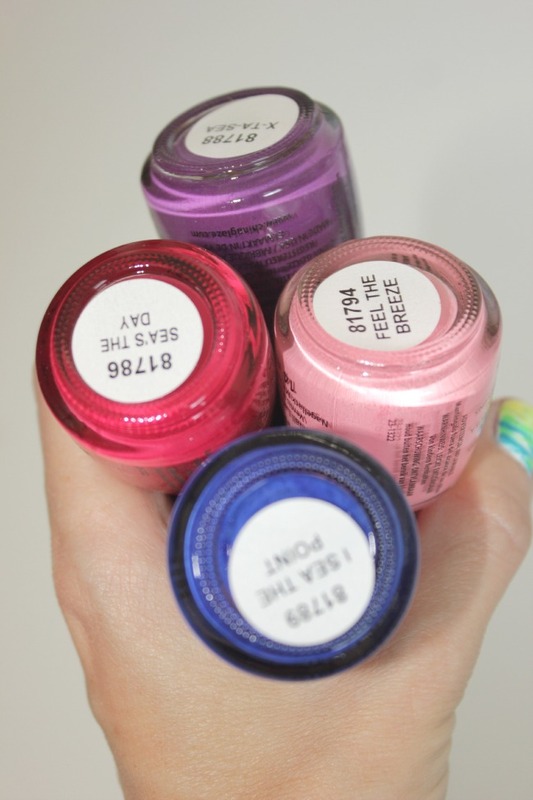 the color almost jumps off of your nails with a vividness that can't help but draw attention. is it clear how amazing i think this collection is? 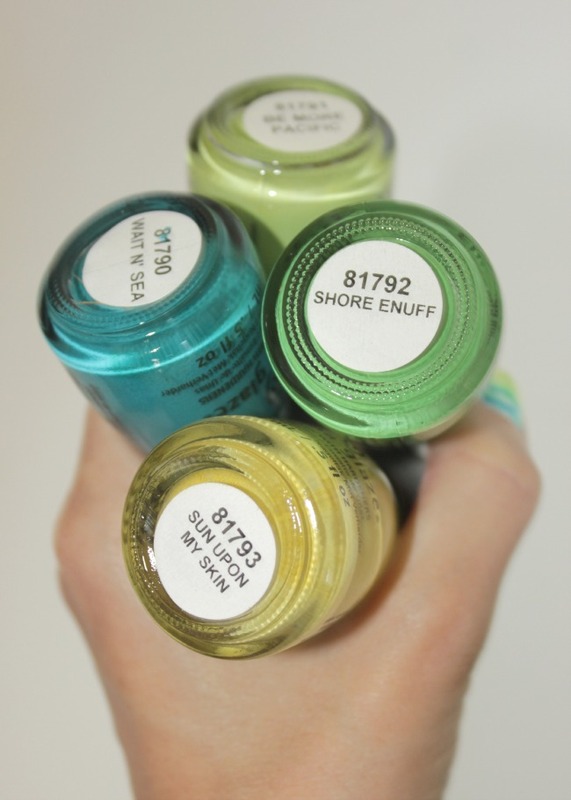 below are bouquets of color brought to you by the China Glaze Off Shore collection. i'd love to hear which ones are your favorite. let's not forget my favorite shade in the mix. a pastel pink/peach shade that looks so sweet it'll give you a tooth ache. the polish is called 'Feel The Breeze'.